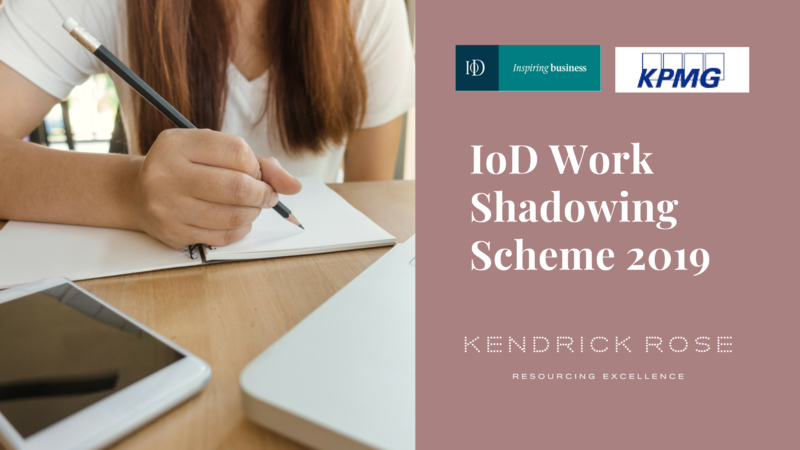 Kendrick Rose is delighted to support the Jersey Institute of Directors Work Shadowing Scheme again for 2019. 2019 marks the eighth year in which The Jersey Institute of Directors will run the exciting IoD Work Shadowing Scheme, which is sponsored by KPMG in the Channel Islands. Shelley Kendrick, Managing Director, Kendrick Rose, is a founding member of the programme in Jersey, helping introduce young Islanders to the world of executive-level careers. The work shadowing scheme presents an invaluable opportunity to sixth form students across the Island, offering experiences of a wide range of interests. You have the chance to be paired with a partner, manager or director in your chosen industry for a five-day shadowing placement, where you will learn about the world of work through a leadership role. The Jersey Institute of Directors has over 650 members with backgrounds in a broad range of industries, from medical to financial to digital and beyond. This means a wide scope of opportunity for students who want to apply. If you’re a student who wants to start building your network and experience early; you can do so in a professional environment with an experienced manager who will guide you through the ins-and-outs of their industry. This will stand out on a CV or university application, and also help equip you with the skills needed to succeed in your future career. When shadowing, you will receive valuable feedback throughout the whole process, from the CV submission to the panel interview process, to the post work placement report. This will vastly build your professional confidence, preparing you for university and the working world. We need you to send in your CV with the application form, we will then ask you to attend a panel interview with an IoD member; a representative from our sponsoring company KPMG in the Channel Islands; and a representative from Careers Jersey. Upon a successful interview, you will be assigned to a director who suits your interests best, and undergo a five day work shadowing placement with them over the summer. After the placement, you will complete a report about the experience. There will be an awards evening in November where students will receive certificates for their achievement, and those with the best reports will win awards.